This detailed master class of sewing children's clothes will tell how to sew a smart skirt for a girl with her own hands. 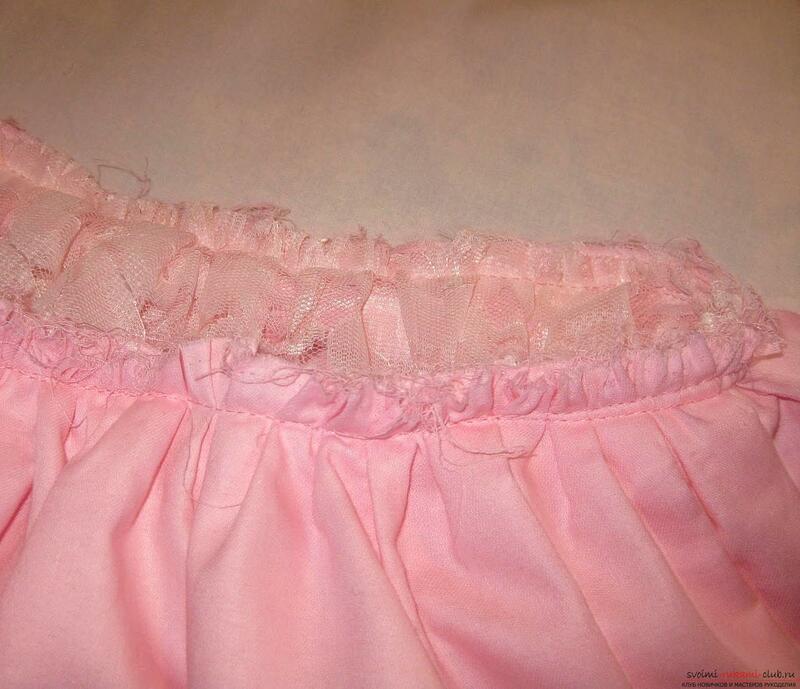 If you have a need to sew a nurseryclothes and the question arose how to sew a skirt - pay attention to this master class! 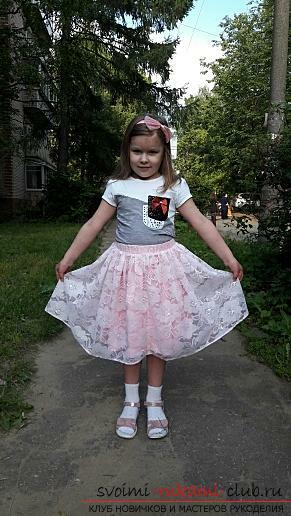 Description A skirt of free cut, slightly below the knees, consisting of two types of materials: transparent guipure and monophonic cotton (cotton) fabric. Belt on an elastic band. 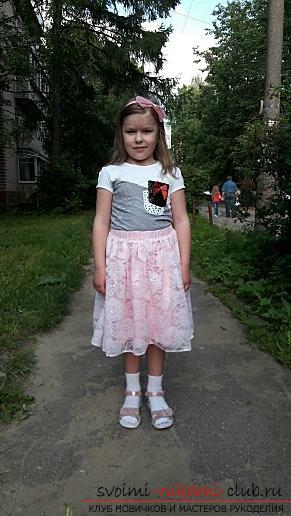 The patterns are presented for the girl 8-9 years old, the height of 134cm, girth of the hips 69-73 cm, waist circumference 58-61 cm. 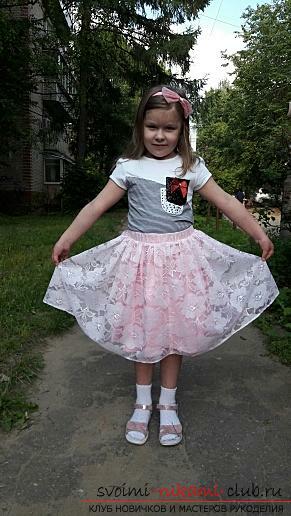 Since the skirt is on an elastic band, then the data patterns are suitable for more adult girls. For the production you need Materials: 1. 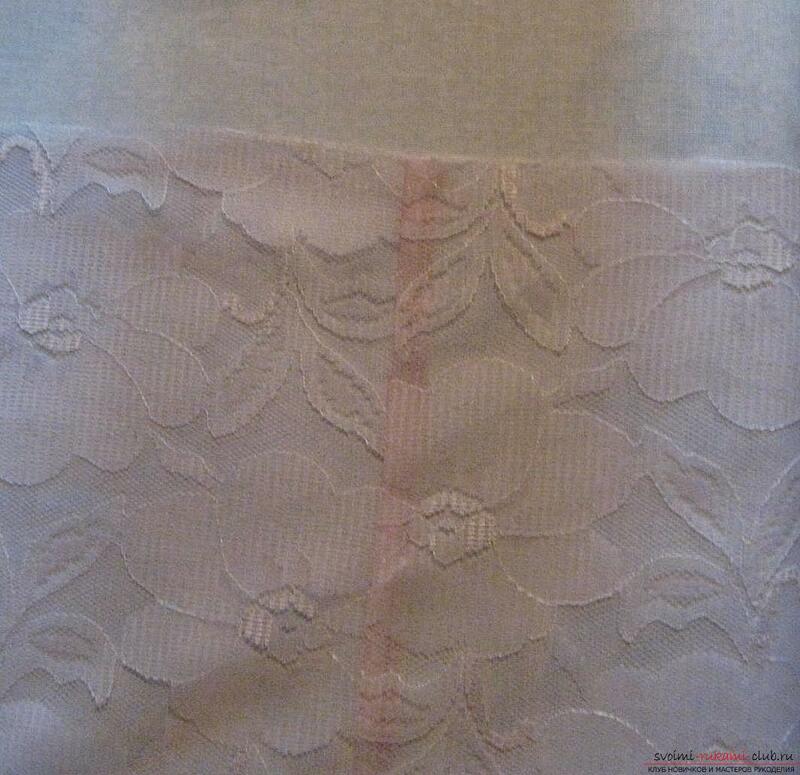 Transparent fabric, for example, guipure. 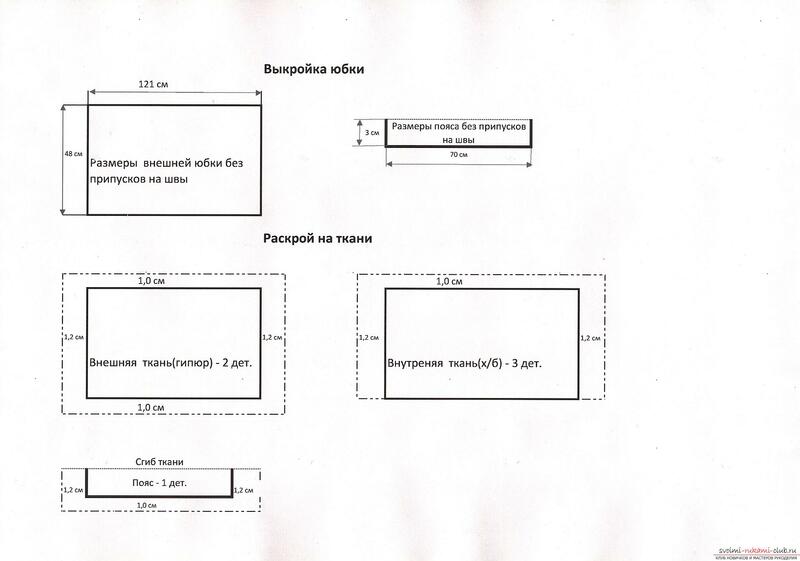 Consumption for a width of 140 cm - 1.0 m. 2. 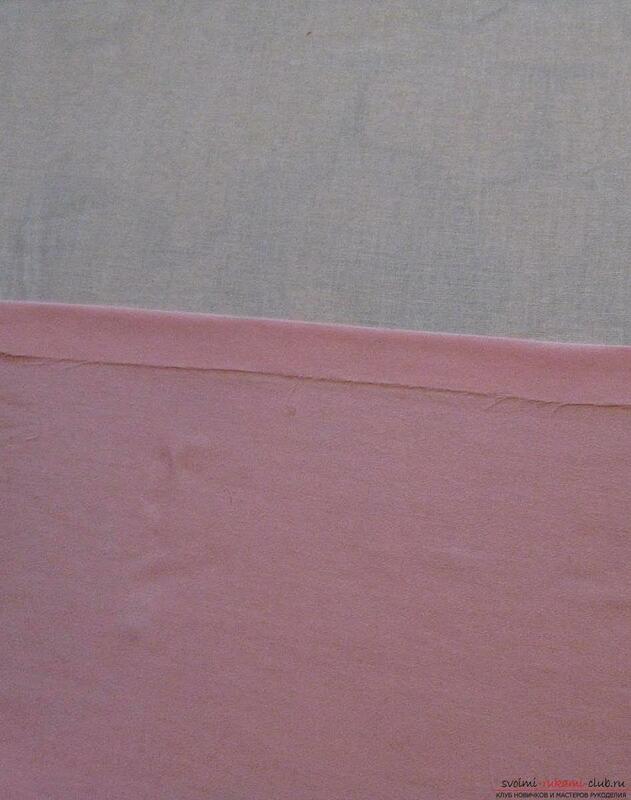 Monophonic cotton fabric, in a shade suitable for the main tissue. 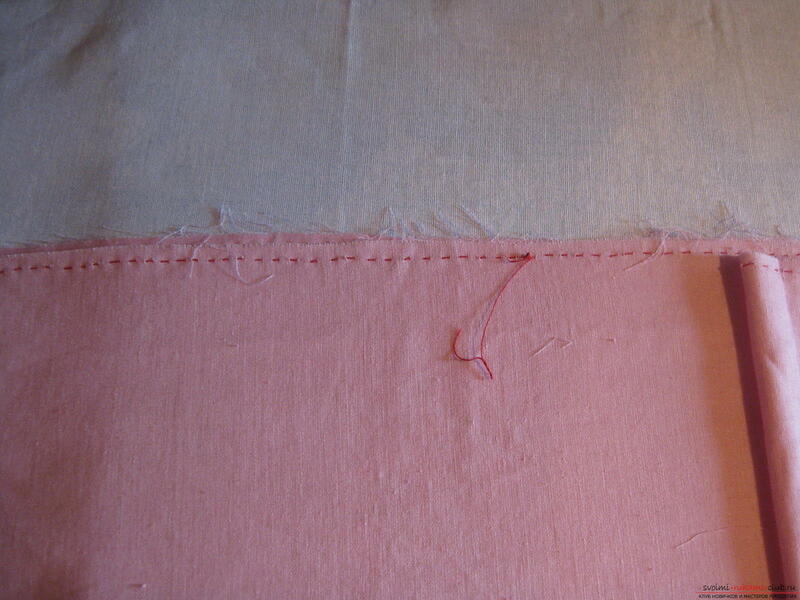 In our case, as the main tissue selected light pink guipure, as an internal tissue - a saturated pink satin. Consumption at a width of 90 cm - 1.6 m. 3. Threads - cotton with polyester. 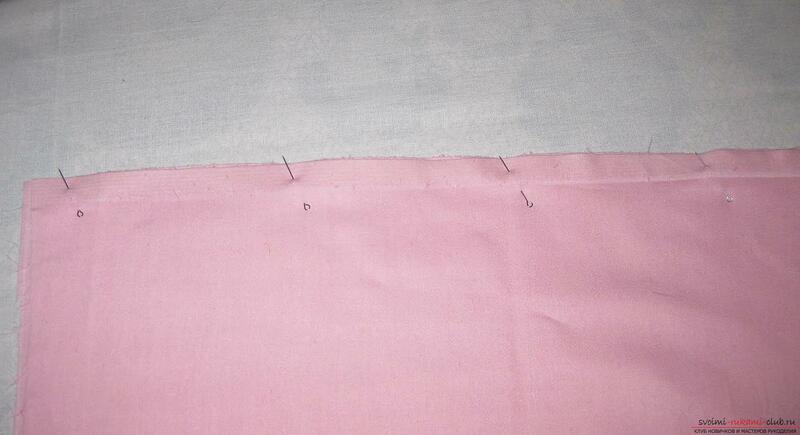 It will take 3 coils, because we will process the seams on the machine "Overlock". 4. Rubber with a width of 3 cm - 0,7 m. Tools: 1. 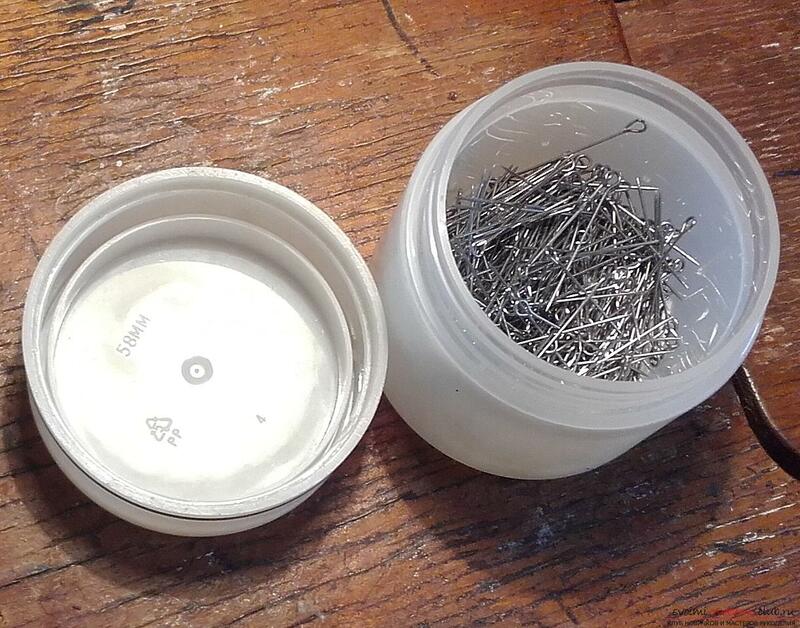 Pins with a tip for connecting parts ("English" needle). 2. Ruler 3. Centimeter tape 4. Chalk 5. Plastic pattern 6. 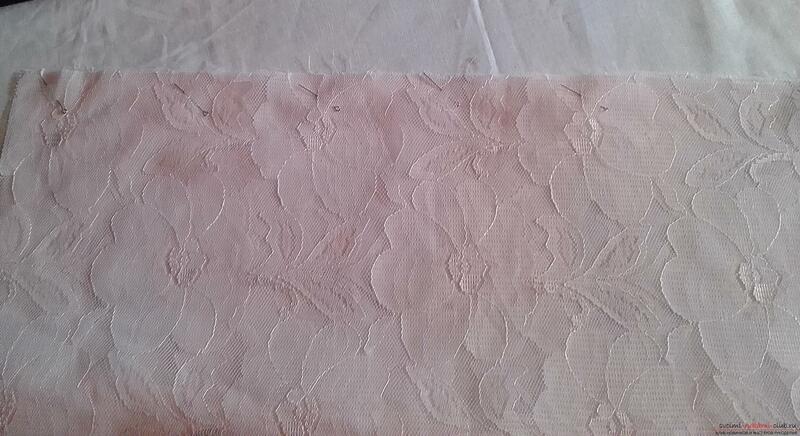 White cotton cloth for ironing. Work order. Sewing fabric 1. Since the templates of the skirt are the correct quadrangle, the pattern can be made directly on the fabric, laying only the allowances for the seams. Sewing the product 2. 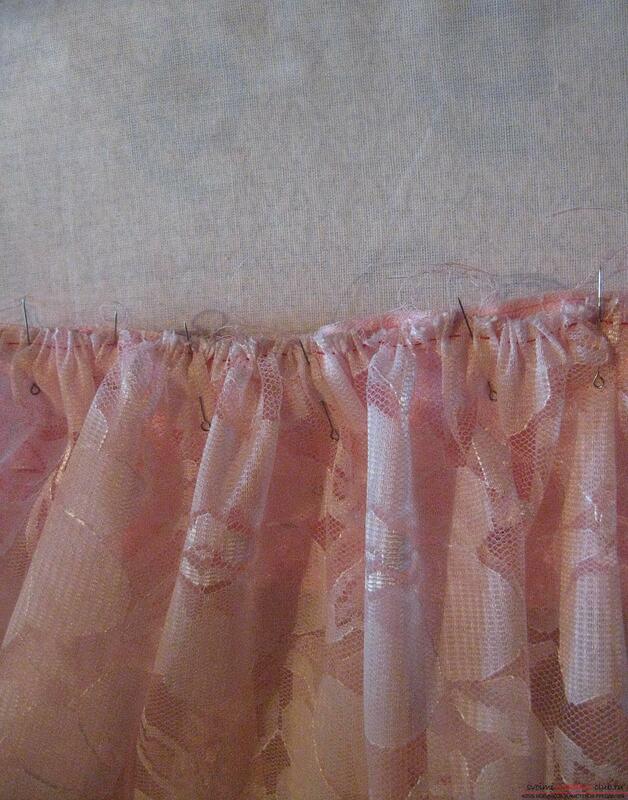 We connect the details of the upper skirt along the side cuts, so that the front side is inside. We need to prune with needles and lay a machine stitch at a distance of 1.2 cm from the edge. 3. 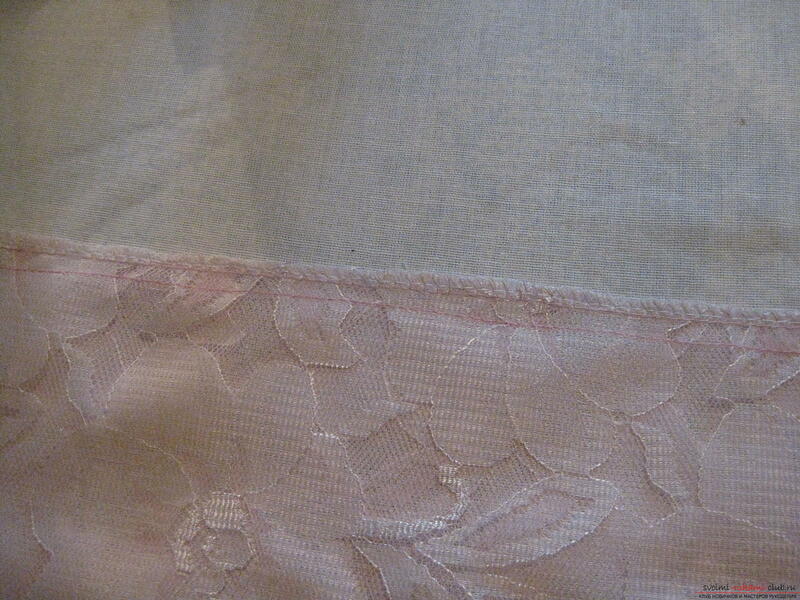 Sections of the side seam are connected together and processed on the machine "Overlock". 4. Analogously, steps 2 and 3 perform technological operations with an inner skirt. 5. Carefully iron the side seams on two skirts. For good ironing, it is advisable to use a plastic mold. On the ironing board, lay out the product onthe front side, so that there are no more minions. On the side seam we impose a white cloth for ironing, we set the iron and steam for a few seconds on the seam to fix it. 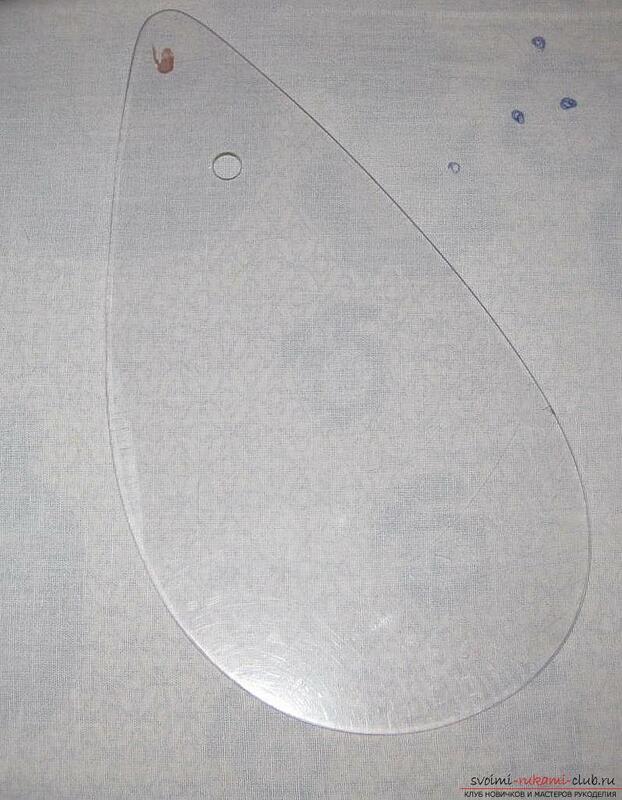 All tools are removed, the seam is applied plastic pattern, which will remove the moisture residues from the fabric. 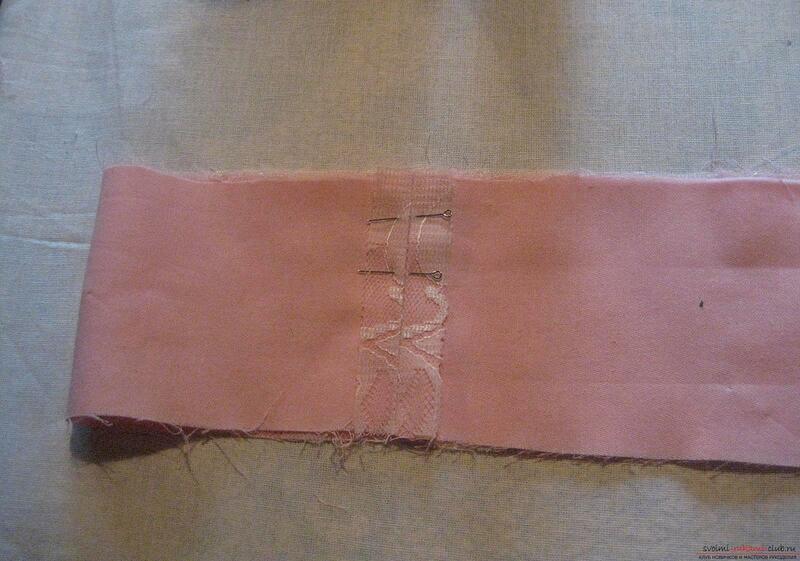 After this procedure, the side seam is well fixed and will have a neat appearance. 6. 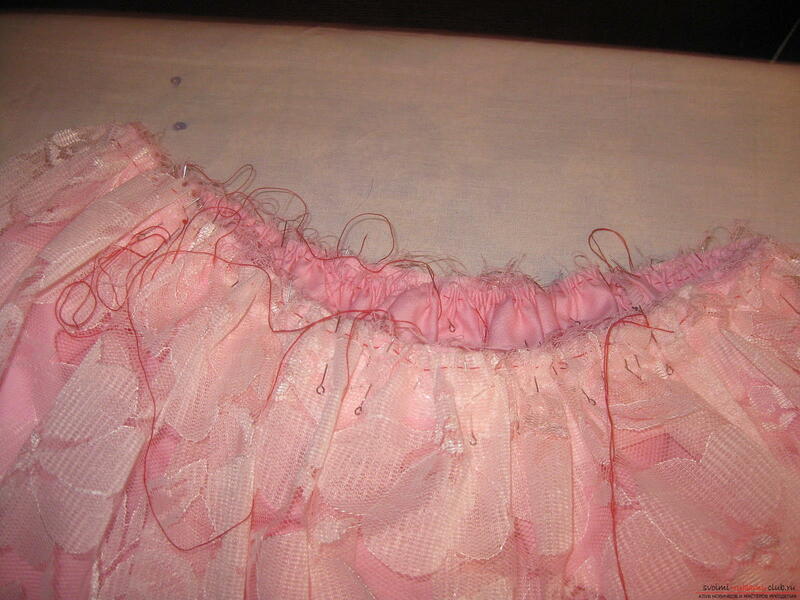 On the upper cut of the outer, and then the inner skirt, lay a line to further make the assembly. The line can be made both manually and on the typewriter. Belt processing 7. The belt consists of two parts, like the skirt, from the main fabric and inner. 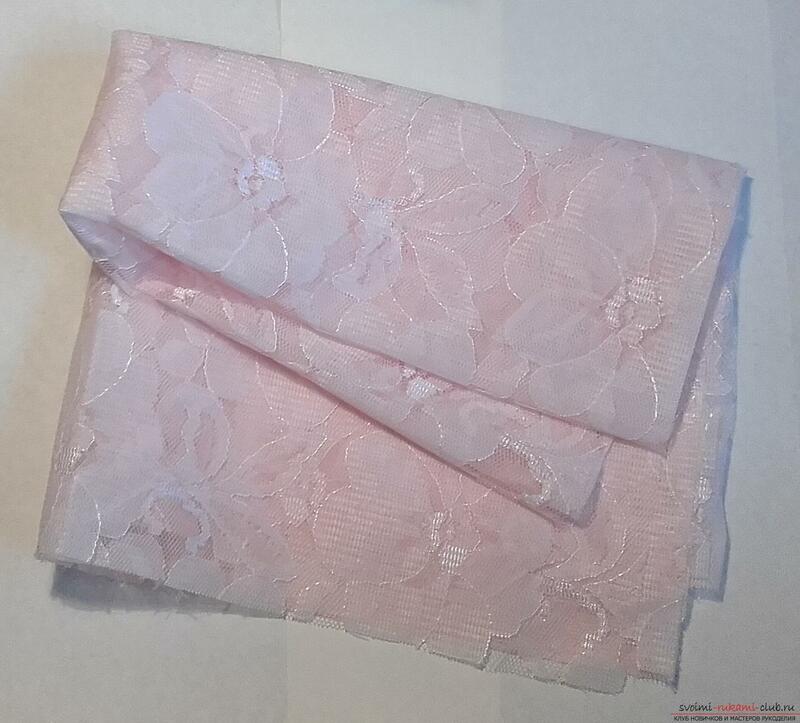 In order to make it easier to handle it and there was no displacement of the parts during operation, it is necessary to connect two types of fabric among themselves. For this, we spread out the two details of the belt so that they strictly coincide with each other, we pin with needles, we plot the line at a distance of 0.2 cm from the edge. 8. 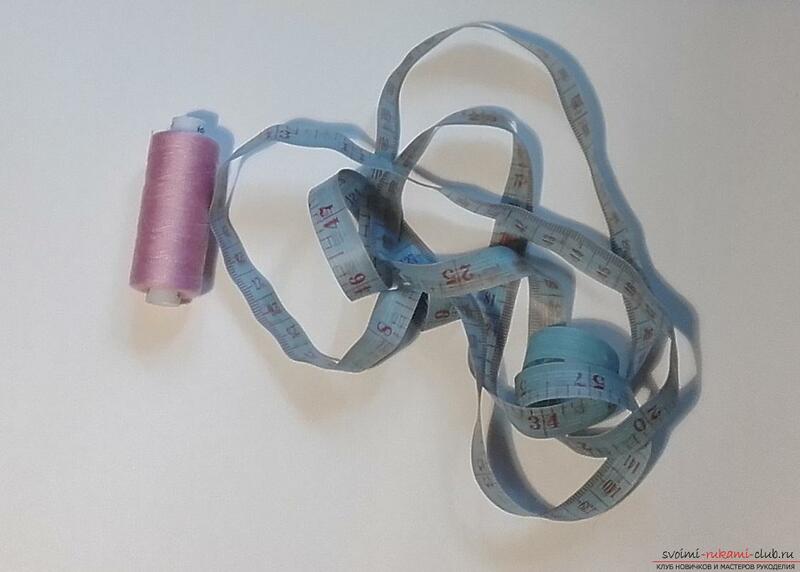 We connect the belt in width, so that a closed circle is formed, but at the same time it is necessary to leave the un-sewn piece for inserting the rubber band. This segment is shown in the figure. We plot the line at a distance of 1.2 cm from the edge. 9. Find the middle of the belt - 2 points, then find the middle between the two points found. Total we have 4 points, which are at the same distance from each other. 10. Similarly to item 9, we find the midpoints of skirts: inner and outer. 11. We pin out the outer skirt with the belt to the found 4 points, and the part of the belt with the non-sewn piece must be on the wrong side. The skirt is much wider than the belt, so on further sections it must be hand-picked, so that the belt and the upper cut of the skirt match exactly. To the underside of the belt, we also pinned the second inner skirt, first connecting them to 4 points, and then we shuffle them manually, as we did with the outer skirt. We carefully pin all the folds with needles. Lay the machine stitch at a distance of 1.0 cm from the edge. One line we connect the inner skirt, belt, outer skirt. 12. 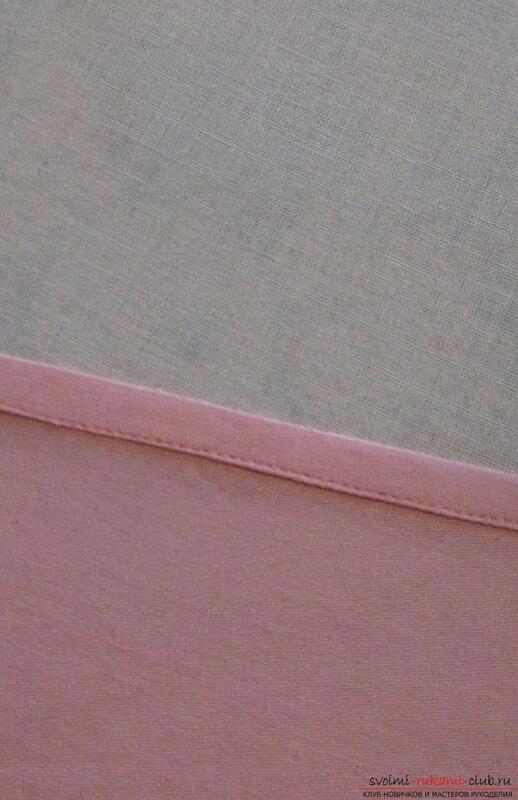 The seam is processed using the Overlock machine. 13. 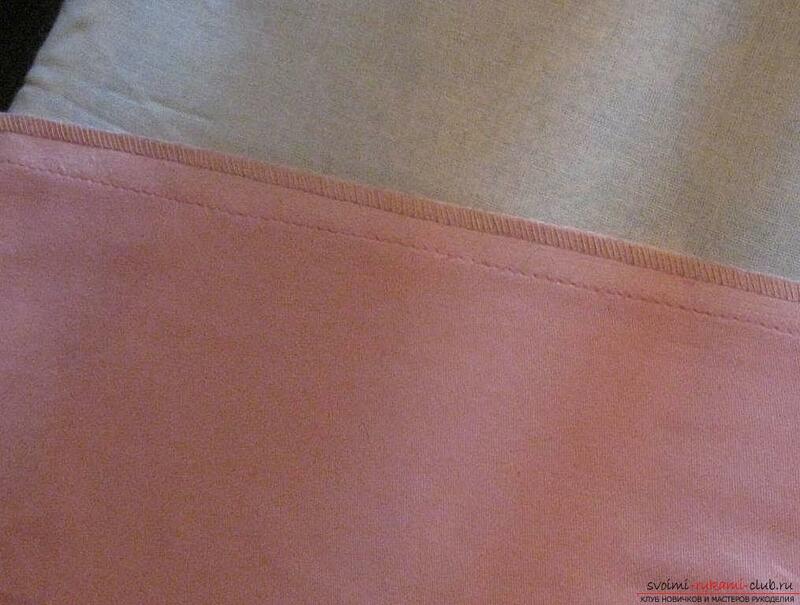 The seam is ironed on the wrong side, then carefully ironed through a white fabric on the front side. Bottom of the product 14. 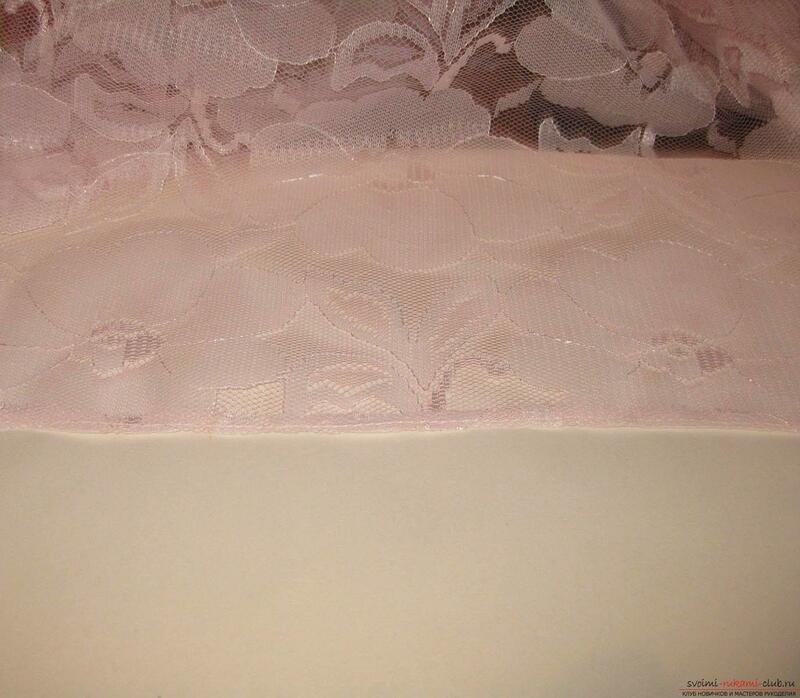 The bottom of the top skirt is processed by the way "American". 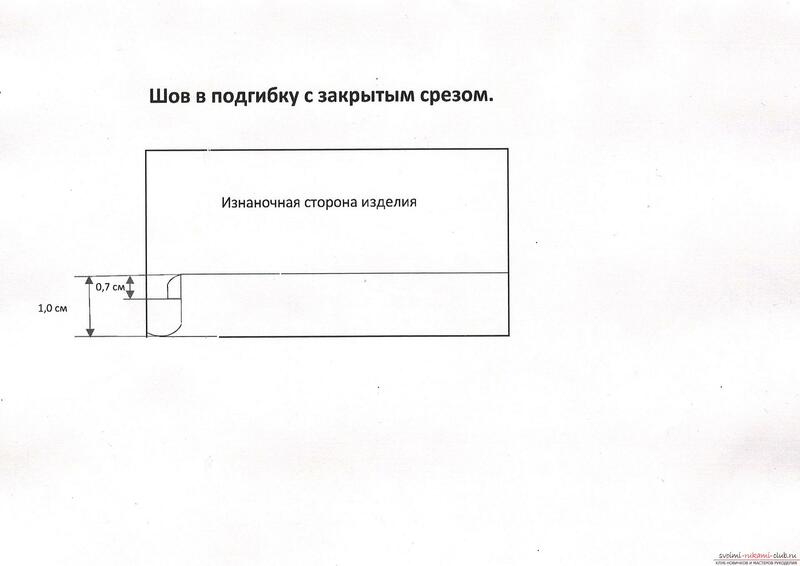 In this method there is no "outline" and ironing. Bottom of the product is bent by 0.3 cm and we make a stitch along the entire length. 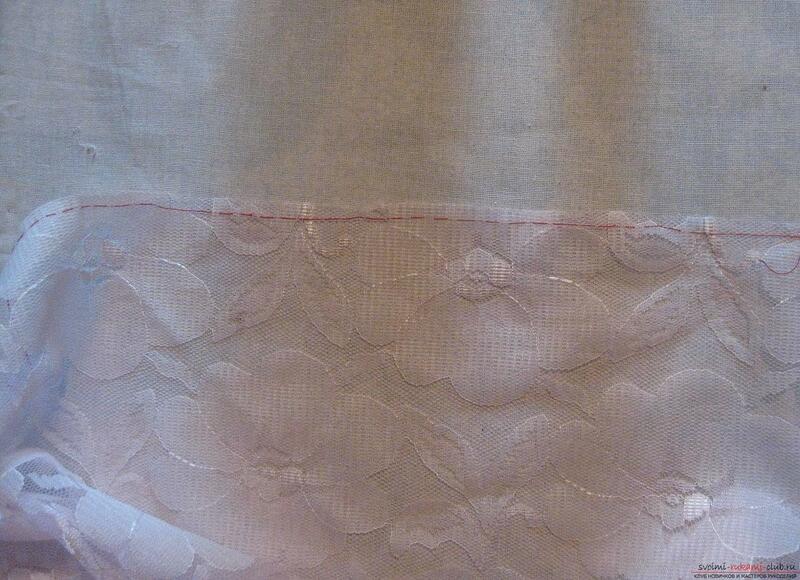 Then, for the second time, bend the bottom of the product todistance 0,3 cm, capturing just padded stitch. And you need to try to make sure the second line exactly passes through the first one. 15. 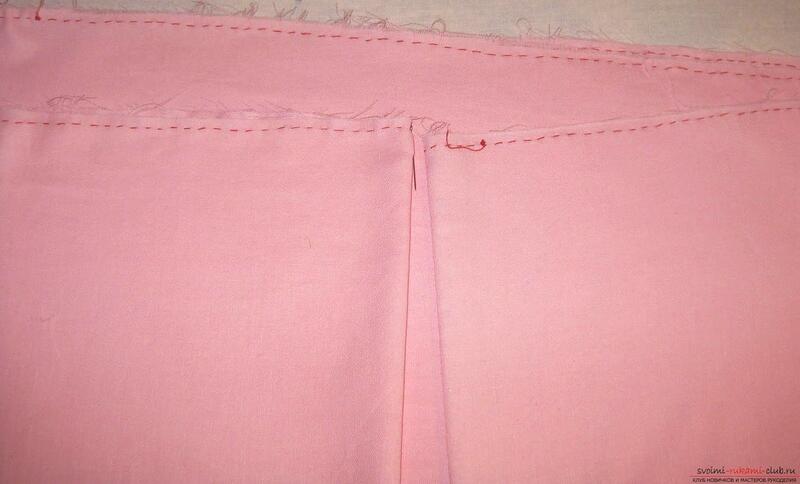 We work the bottom skirt with a seam in a hem with a closed cut. 16. Expose the bottom of the product of two skirts. 17. Insert the elastic band into the belt. The skirt with your own hands is ready! A detailed master-class with a photo will tell how to tie a set for a girl with a crochet This master class will teach how to sew with your own hands a children's fox costume for a girl This detailed master class contains an origami-dragon scheme from paper, which you can make with your own hands. This master class will tell you how to make your own cards for Valentine's Day. A detailed master class with a photo of crochet with her own hands bandages on her head for a girl. New Year gifts, New Year's crafts, souvenirs with their own hands, how to make a gift for the New Year, ideas for New Year gifts with their own hands.